Be what's next. Right now. For the past 2 years I have been supporting our Technology hub in Wroclaw. I am passionate about what we do as a business, and I actively participate in various technology related events and brand awareness campaigns around Poland! Along with the team, I am also involved in several volunteer activities supporting our community. As our business grows there are more opportunities to join our team than ever before! I am currently the Senior Manager of Talent Acquisition for Vonage's Technology division, which spans across all our brands globally - they are Nexmo, TokBox, New Voice Media and Vonage. I love meeting new people and helping them find the right job. You can contact me anytime, whether it's just to chat or if you need career advice! My role at Nexmo is to identify and recruit top talent. If you would like to explore working for a rapidly growing and successful start-up company, please do not hesitate to contact me to kick start things today! There's not many people out there that get to say they love what they do. As a Growth Strategist aka Talent Acquisition Partner, my passion lies in both candidates and hiring managers having great experiences during the vetting process. On a personal note - I love tacos, power naps, yoga on the weekends and any excuse to wear a fancy dress. 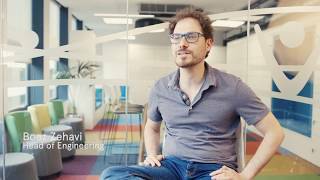 The R&D Center in Tel Aviv is also an innovation center, where we develop lots of cool projects from scratch, like LinkNYC, interpreter mobile app, and many more! I am passionate about engaging with talented people, and hiring them for our technology and customer success groups within our applications business around the globe. You will find me raving about our achievements and our inspiring culture whenever we get to speak. As we scale there is no better time to join us than now! 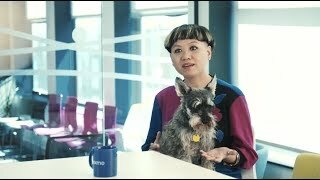 I'm a Senior Talent Acquisition Partner who is committed to truly partnering with our hiring managers to find awesome talent for the Nexmo arm of Vonage! I predominantly recruit for the Business Operations, Finance, and Technical Support groups across our APAC, EMEA and US offices. With over 10+ years in full cycle recruiting, coaching, career counseling and sales strategies, I oversee all talent aspects of the Inside Sales group. I attended UGA and GSU, BA with a concentration in Business and am an avid poker player, sports enthusiast, travel junkie, drummer, and dad of 3. I’m also a Texas native and whiskey snob. Working across the Technical groups, I am always looking to find the best talent to support our growth. Beyond my passion for discovering amazing talent at every level, I am also very involved in our Talent Acquisition team's efforts to better define our recruitment strategy and educate our hiring managers on best practices. As a Subject Matter Expert in Sales Recruiting, I am responsible for bringing in top sales talent for our API and Applications teams. The part I love best about being a Talent Acquisition Partner is creating long lasting relationships with my peers, candidates and hiring managers. Having joining in November of 2018, My mission is to find world-class talent for our IT and Sales groups, all while staying focused on offering a professional and transparent candidate experience. I’m also fully engaged in our Campus Recruiting initiatives as well as our Summer Internship program, where we have the capability to grow our fresh talent into professionals that make a direct impact in our organization! Being part of the Talent Acquisition team, my job is to find innovative and intelligent individuals with potential in the technology space. I work internally with decision makers in the software engineering groups, and closely interact with candidates to make sure our recruitment process is efficient and fun! Based at Vonage headquarters, I am the TA Coordinator across the business for the US. My main goal is to ensure you have an enjoyable experience when interviewing with (and joining!) Vonage. I’ll be in touch to schedule your interviews and send you your offer letter. Keeping your needs as a candidate in mind, I also strive to look for better ways to maintain and improve our talent processes. Having been with Vonage for over 10 years, I recruit for all levels of talent across the Finance, HR, Legal, and Client Operations groups. I love being part of a global TA team that hires amazing talent for a dynamic, growing organization like Vonage! As the Talent Acquisition Coordinator for the London office, I make sure that your candidate experience is fun, fast and efficient! You will usually see emails from me to schedule your interviews and to provide you with meaningful feedback. I also work on different projects on the operational side of recruitment. Since joining in March 2018 I have been impressed and excited by the collaboration mindset of this high growth organisation. Here you can really make and see the personal and direct impact you have on the success of the company. We are all looking forward to seeing where we can take things to next. I was hired at Nexmo to focus on the Sales and Marketing recruitment across EMEA and APAC. Partnering with Sales and Marketing leaders, I enjoy the end-to-end recruitment process for revenue generating roles at all levels across the globe. I have been with Vonage as a Talent Acquisition Partner since 2017. I am experienced technical recruiter with a demonstrated history of working in the R&D high-tech industry. I am passionate about end-to-end recruitment and enjoy the challenge of identify and hire world-class talent. I'm looking for the best developers to join our R&D Center In order to create a better future and solve the biggest problem that businesses face: communicating. As of March 20, 2019 we have moved to a new Applicant Tracking System. Please be aware that if you have previously applied to an open position on our prior system, you will not need to reapply as we have transitioned over your information. Please contact a member of our Talent Team with any questions.